In any other year, Nanny McPhee would be Patrick Doyle's most eagerly awaited score, but given his upcoming excursion into the world of Harry Potter, it's possible that Nanny McPhee might get lost in the rush, which would be a tremendous shame. While he has been attached to plenty of high profile projects - notably Bridget Jones's Diary and Calendar Girls - many have not required the kind of high profile, orchestral score at which Doyle is a dab hand. However, his recent assignments - Secondhand Lions, Nouvelle France and now Nanny McPhee - seem to be allowing him to return to the kind of films where he produces his most memorable work and suggest that the omens for Potter after John Williams are looking better than ever. Nanny McPhee stars Emma Thompson as the eponymous nanny, although far from the cheery Mary Poppins, McPhee is almost witch like in appearance, stern in demeanor, but equally magical and, naturally, a fine carer of children. The rather unsavoury (sorry) They've Eaten the Baby! opens and its comedy quotient is a little off putting, suggesting a fun, if slightly silly score. However, things soon settle down and Secret Toast and Jam introduces the lovely main theme. 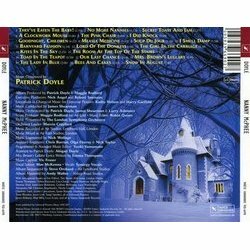 Although having produced some fine scores in the past few years, Doyle has become a little more subtle with his main thematic material, slightly moving away from the instantly memorable themes he penned as a matter of course a decade ago. However, this is a considerable return to form and, if not exactly high impact, is a wonderfully warm, lilting and slightly whimsical melody, put to most enchanting use in the rhapsodic finale, Snow in August. Although a fairly light hearted fantasy, Doyle doesn't shy from some more portentous moments; Measle Medicine, in particular, comes to a crushing and dissonant climax. A large chorus augments several tracks, most notably the lengthy I Did Knock which reaches surprisingly epic proportions (but still magical in tone), for such an inauspiciously titled cue. Of course, there are plenty of playful delights, A Clockwork Mouse, Soup du Jour, Barnyard Fashion and others. 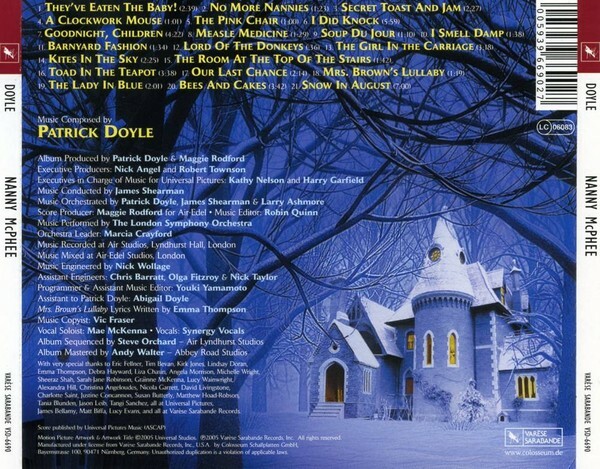 While a scattering of short cues in the middle of the album may, at first, seem rather unpromising, instead of them being a series of unimportant bits of padding, Doyle treats each one as a delightful vignette with something to offer and so they stand perfectly well alongside the longer, set-piece cues toward the beginning and end. For once, living near the UK has paid off as the film has been released here before the US and consequently the album has appeared on British shelves first. 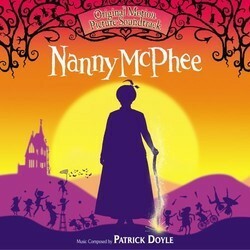 Overseas Doyle fans will probably be content to play their Harry Potter CD to death, but shouldn't overlook Nanny McPhee when it's released in early 2006. Only a couple of moments stuck in the mind first time through, but the second and subsequent spins reveal the multitude of motifs throughout - some of which only appear once, but fit in just perfectly alongside each other - together with the terrific main theme. The comic music generally avoids being grating while the sentiment is broad, but not maudlin. A colourful, memorable score, given a terrific performance by the London Symphony Orchestra, impossibly easy to recommend and a delight from start to finish. As father of seven of the naughtiest children in the world, Mr. Brown has lost control. Seventeen nannies have been driven away and he has lost all hope of ever finding another. But then, one day, a mysterious and magical figure turns up at the door. Her name is Nanny McPhee. With her bizarre looks and special powers, it seems that the Brown children may finally have found their match. The screenplay for Nanny McPhee was written by Emma Thompson and is an adaptation of the “Nurse Matilda” books, written in the early 1960s by Christianna Brand. The story is set in the late Victorian/early Edwardian England in a small village on the edge of London. Emma Thompson, the only person to have won Academy Awards for both acting and writing, also plays the title role, opposite Colin Firth, Kelly McDonald and Angela Lansbury. Kelly McDonald, who recently starred as Peter Pan in Finding Neverland, joins the cast as Evangeline, the kindly scullery maid, while Angela Lansbury, winner of six Golden Globe Awards and four Tony Awards, makes a welcome return to the big screen after an absence of two decades. The impressive cast also includes Celia Imrie, and BAFTA winner, Imelda Staunton (Vera Drake). The wondrous and fantastical score is by composer Patrick Doyle, one of the finest of all contemporary film composers and is performed by the world-famous London Symphony Orchestra. Patrick Doyle’s fame began with his monumental score for Kenneth Branaugh’s acclaimed production of Henry V. Doyle’s exceptional music has been heard in such films as Sense and Sensibility, Hamlet, A Little Princess, Gosford Park and Calendar Girls. Doyle’s next score is the blockbuster Harry Potter and the Goblet of Fire, due this November.